This informs my listening and my experience of this tape to a great degree. I read into it the idea that humans project themselves out to the universe toward one god or another. The universe, however, is radically indifferent to us, and in fact is quite hostile outside of our little Earth bubble. The quicker we get that, the quicker, maybe, we can get past all the nonsense that putrifies our lives. Supervolcano have submitted another wonderful entry into the White Reeves Productions canon. 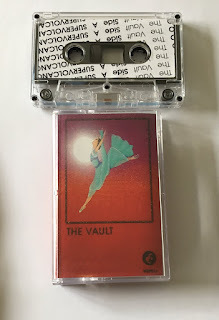 The Vault consists of six tracks, titled “ONE” through “SIX” (all caps), and each plays like musica universalis, Music of the Spheres, or if not that then at least like the audio waveforms captured from our probes and satellites hurtling through the solar system and beyond. The idea that the cosmos is speaking to is an interesting one – too bad we’re just essentially eavesdropping on a conversation beyond the realm of our understanding. This doesn’t mean we can’t be inspired by it, and Supervolcano certainly is. Philosophical musings aside, the six tracks offer lots of space, whether inner or outer, to immerse yourself in. They’re comforting and terrifying at once, soothing in tone and execution but allowing thoughts of vastness beyond yourself to creep in and eventually take over. 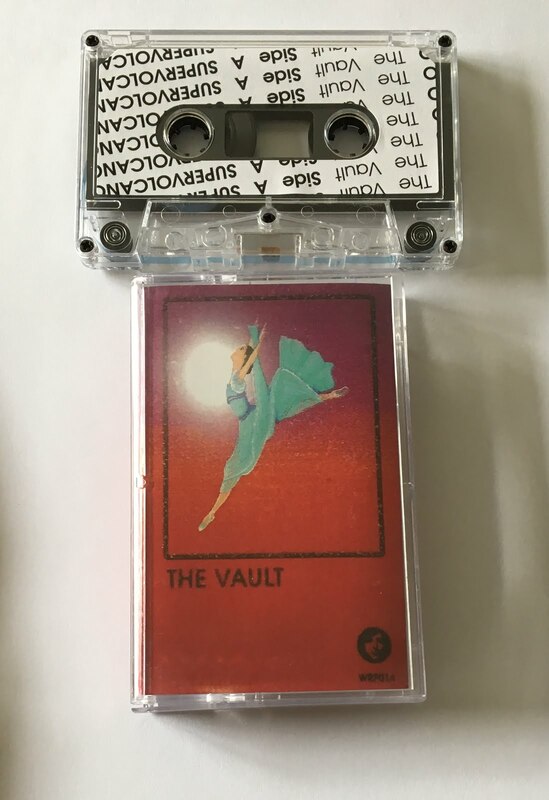 OK, maybe it’s impossible to get rid of the philosophical while listening to The Vault, but there it is. We are currently here. At some point we won’t be. The universe is infinite. Or maybe these tracks are simply the musical renditions of the six literal days of Creation. There’s no seventh track because God is resting. Shh, just let him sleep for a bit.